In addition to guest posting on the UpCity blog, TinyFrog Technologies is featured as one of the Top Web Designers in San Diego. Check out their profile here. On November 27th, 2018, WordPress will release its major core update WordPress 5.0 and the new editing interface, Gutenberg. This will be the biggest WordPress update in years and every WordPress site owner should be aware of the Gutenberg editor and how to prepare their website. What is WordPress 5.0 and the Gutenberg Editor? In 2005, WordPress released the default editor, which is an open text window and the current editing experience on WordPress sites. With the default editor, building posts with images, embedded content and other elements requires a mix of different approaches. The WordPress 5.0 core update will replace the default editor with the Gutenberg editor. By using a block structure, the Gutenberg Editor allows you to insert, re-arrange, and style multimedia content. These content blocks are similar to the blocks you’d have access to when using a page builder plugin in WordPress. If you visit the Gutenberg page on the WordPress.org site, you can actually play with Gutenberg on that page. As you read about the features, click on options to duplicate a block, change a URL or upload an image. You’ll start to see how the features will work in the Gutenberg editor. As of today, there are many WordPress plugins that are not compatible with the Gutenberg editor. 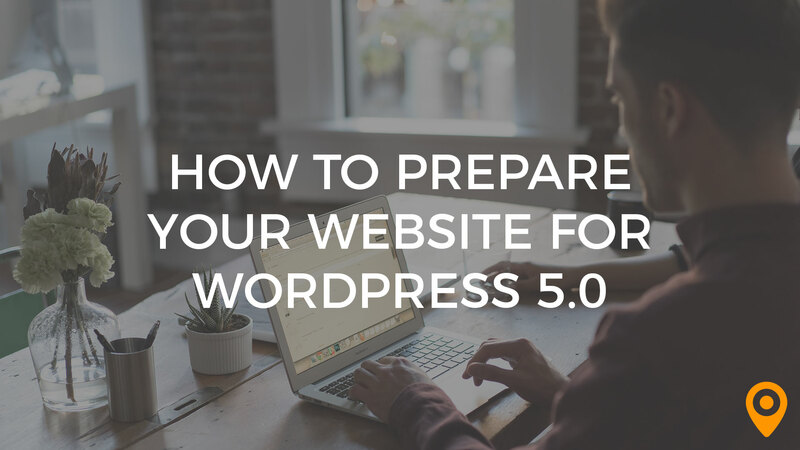 This means that if you update your site upon the release of WordPress 5.0, there could be major issues on your site. Many plugins & themes are trying to catch up. There are a lot of plugin updates being released this month, trying to fix issues related to Gutenberg. Unfortunately, many sites may not have the most up-to-date plugins installed when they are updated to WordPress 5.0. For instance, WooCommerce released an official statement earlier in November and stated that WooCommerce sites must be updated to WooCommerce 3.5.1+ to avoid issues. For this reason, WordPress sites that were built using those themes or page builder plugins will need to be extremely cautious because any compatibility issues with Gutenberg could break content pages on the site. Until the Gutenberg editor matches the full features of these plugins & themes, WordPress developers will probably continue to build sites utilizing page builder plugins. Prior to the release of WordPress 5.0, have your web development team or web developer install the Classic Editor plugin. 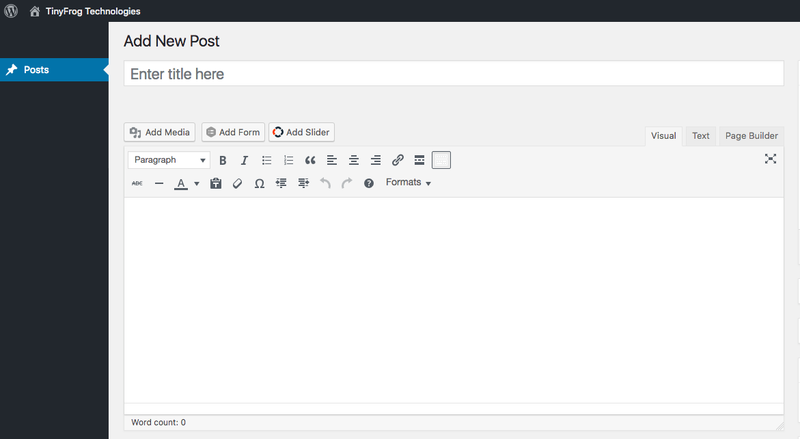 The Classic Editor plugin doesn’t do anything on a WordPress site right now. However, once you update the site to WordPress 5.0, the Classic Editor plugin will turn off the Gutenberg editor. With this precautionary measure, you’ll be able to update your site to WordPress 5.0 and prevent issues from occurring between Gutenberg and plugins/themes. With any big release of a WordPress core, it’s best to be prepared. If you don’t have a regular backup system in place, make sure a full backup of your WordPress site is taken every day. Having a daily backup means that you can literally restore the site to the day before, in case this core update or something else causes something to break on your site. It’s best to have a web developer or web development team oversee the WordPress 5.0 update. The best way to do this is to take a staging or dev copy of the website and test the update in a staging area. This will allow a developer to fix any issues with plugins or site features before you update the live site. It’s best for an expert PHP developer to do this because they can fix issues in the database or plugins. Some site owners may think – I’ll just skip the WordPress 5.0 update and wait. That is a very risky course of action and not recommended. Every WordPress core update not only includes new features but also critical security updates & fixes. The #1 cause of infection for WordPress sites is outdated core & plugins. In 2017, hackers defaced over 1.5 million WordPress web pages using a vulnerability in an outdated version of WordPress. It’s important to maintain your site & stay on top of updates for both security & performance. As the release of the Gutenberg editor approaches, almost every WordPress plugin is releasing a new version or update in order to make the plugin compatible with Gutenberg. It’s ideal to have a developer or development team oversee the WordPress maintenance & security updates on a monthly basis. If you skip updating the plugins for a long period of time, you may have issues with plugin incompatibility and parts of the site breaking when Gutenberg is released and implemented. It’s best to have a development team or expert WordPress developer update your plugins on a monthly basis. These updates are also critical because they often contain security patches to fix a vulnerability with a plugin. Skipping an update can leave your site vulnerable to security breaches. While caution & preparation are important for this new WordPress chapter, you won’t need to be “Gutenberg-free” forever. There are a lot of exciting features with the WordPress 5.0 and Gutenberg editor release. Visit the official WordPress Gutenberg page to learn more about the new technology & all that’s to come. 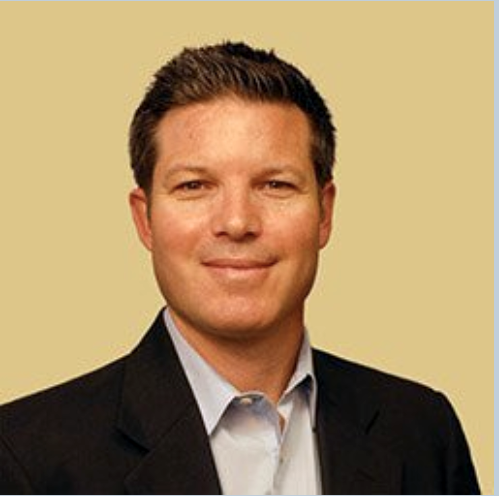 Mikel Bruce is the founder and CEO of TinyFrog Technologies, a full-service web agency specializing in WordPress secured hosting, maintenance, and website design. With its all-in-one WordPress maintenance and security service, TinyFrog currently protects over 600 client websites from “croaking” and has helped many businesses recover from a hacked website and Google blacklisting. Get free guides, how to’s, checklists, and marketing best practices delivered straight to your inbox. The information which is enclosed in this article will be helpful for many bloggers. Thank you for sharing.